COOSTAFE is Brazil’s first cooperative composed of incarcerated women. The organization uses the production of handicrafts as a means of professional training and income generation for presently and formerly-incarcerated women. 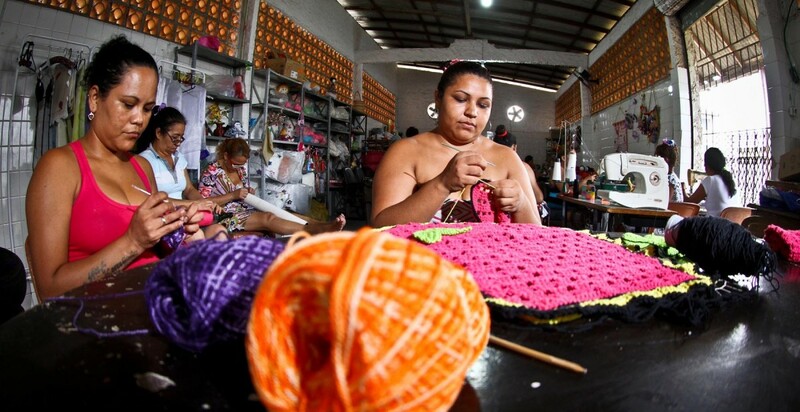 Founded within the Centro de Reeducação Feminino de Ananindeua (a correctional facility), the project proposes to prepare inmates for life after imprisonment by teaching them basic business concepts and artisanship skills, promoting their independence and improving their self-esteem. Their handicrafts are sold in public squares by inmates in work release programs, with profits going entirely to the cooperatives. Through work, the inmates regain a sense of belonging to society, see a new way to live in prison, and find a vocational and income-generating opportunity. In its four years of work, COOSTAFE has a zero percent recidivism rate, showing the importance of the initiative for the reintegration of these women into society.